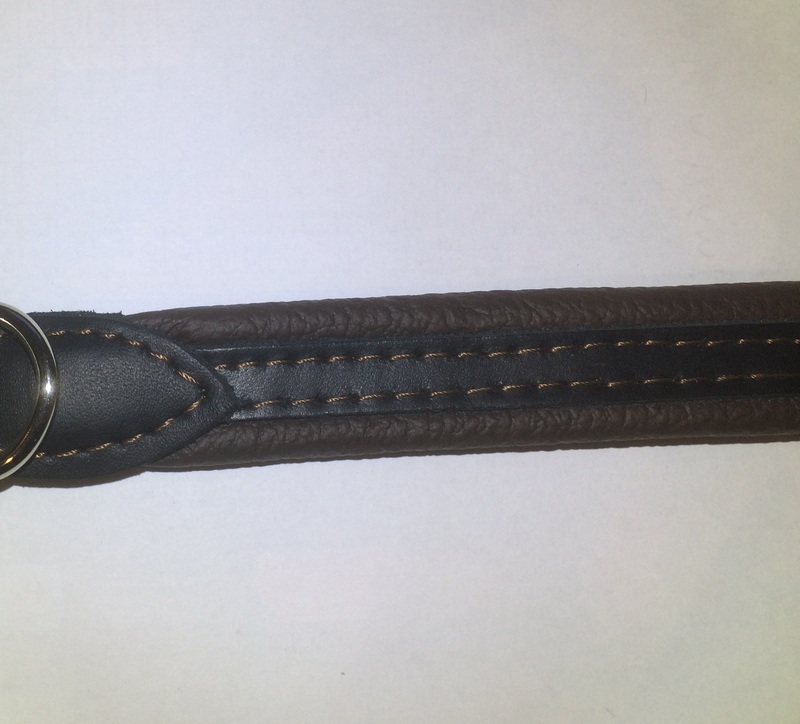 High quality genuine leather dog collar with chrome buckle and D-ring.? Top quality leather dog collar, hand stitched using the best quality leather, these products look fantastic and are hard-wearing. Top quality hand-stitched leather dog collar with crystal decorations. Soft and supple leather backing for comfort, chrome buckle and D-ring for attached name tags and leads. Available in two sizes. Leather & nylon Plaited Leather Dog Lead with strong clip and reinforced handle. Hand stitched rolled leather dog lead. 120cm (1.2m long) and available four thickness.